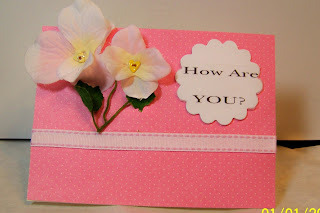 Just A Scrappin' Challenge for Mar.7 2013 is Sew & stitch on a LO, Card, or project and add eyelets. 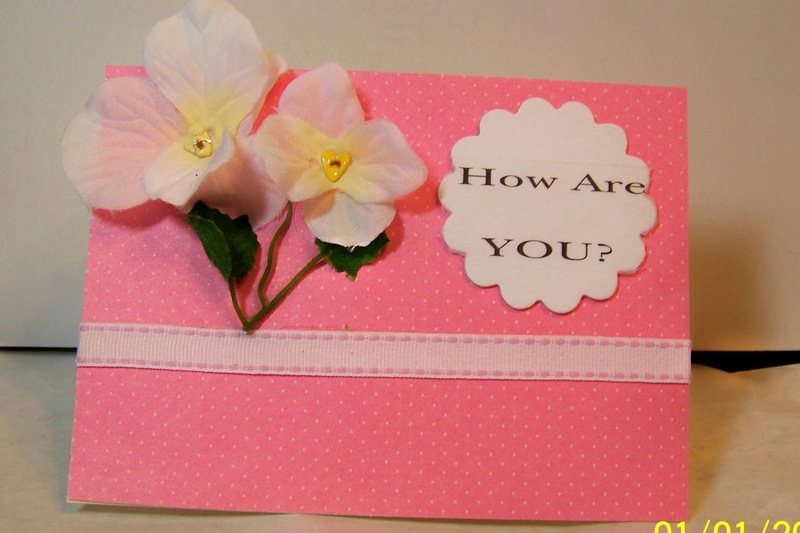 I made this card using stitching on the ribbon, heart shaped eyelets in the center of the flowers. Using Art Philosophy I cut the <Circle5> at 2 inches for the journal. I had a time with the eyelets since it has been so long that I've used them. Found I have hundreds of small and smaller eyelets and I not sure I'll be able to use them because they are hard for me to see. Please join us at Just A Scrappin' ! A 3 dimensional card! How beautiful it is. TFS! I love where you used the eyelets!